Sign up for Broadjam today to follow Chris Morris, and be notified when they upload new stuff or update their news! 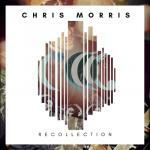 "Recollection," brings together 12 classic songs that represent the style, soul and essence of Chris Morris. Though many have been previously released, each was remixed and remastered from the ground up. The result is depth, clarity, punch and most importantly vibe. "Recollection," is a positively inspirational reminder of the road traveled while appreciating the journey on the pursuit of happiness. Everybody needs a little time away. When you feel it's time for a break. But then there's always questions asked. Was it me or them, can we give love a chance? I don't care if it's cold December. Just tell me when the sun comes up. Tell me when you've had enough. I just want to take you to Paradise. Nothing to say but bye-bye to the world. All that we want is just to be but free in our minds. Come on, let's go to Paradise. Don't say a word just hold my hand. Let's go away without a plan. To St Tropez, what do you say? Wouldn't it be nice to not be here tomorrow? I don't care if it's hotter than July. We'll party 'til the sun comes up. Or up until we've had enough. We can ride, create our own private fantasy. Whatever keeps us from reality. Why live the same as everyone else. I'm giving you the best of me. When it all goes down you're the one that I'm taking with me. It's time you know I care. I'm asking you to follow me. You've got the best of me. And I can promise for eternity. My promises leads to no lies. I will say that I'll always care. So let's take it there. And I hope it's enough for you to trust me. And go along for the ride.